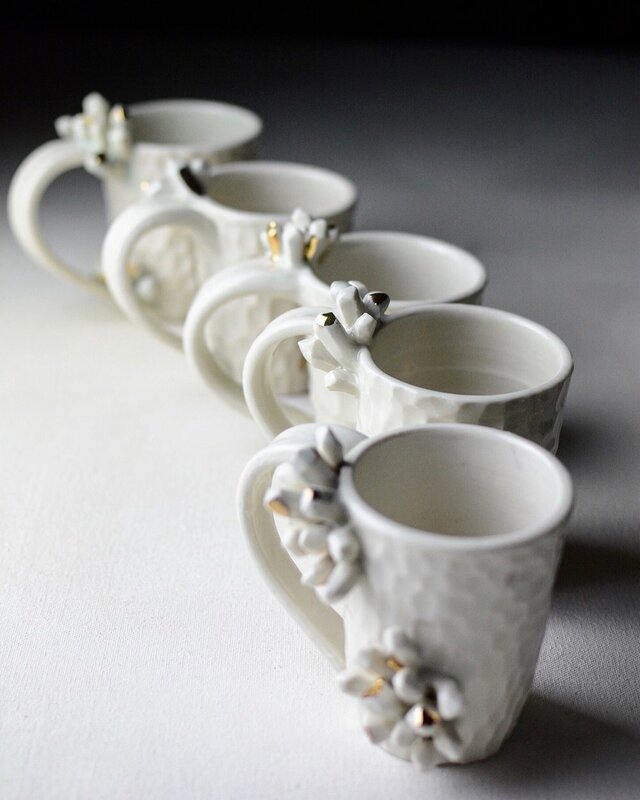 Mugs that fit in the hand and add a sparkle to your day. 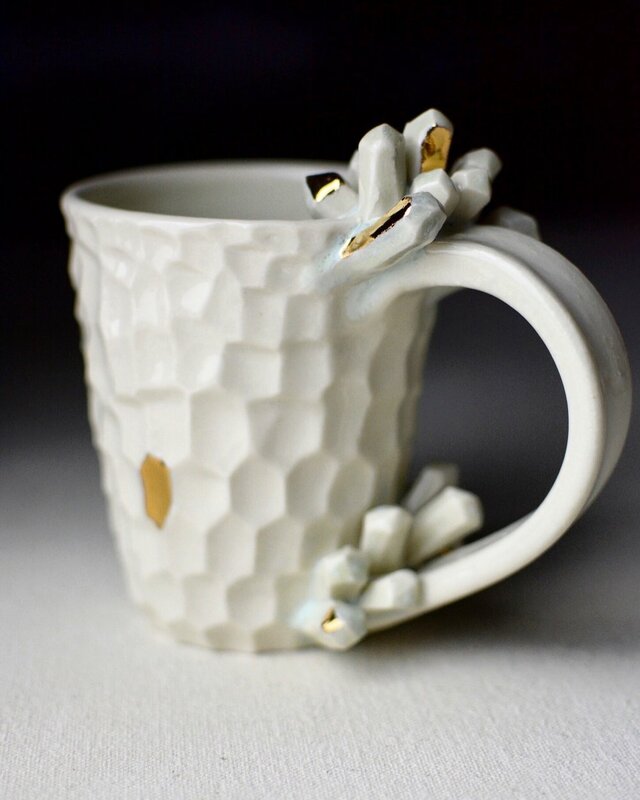 Smoky Merlot mug with ice crystals sprouting off the bottom. 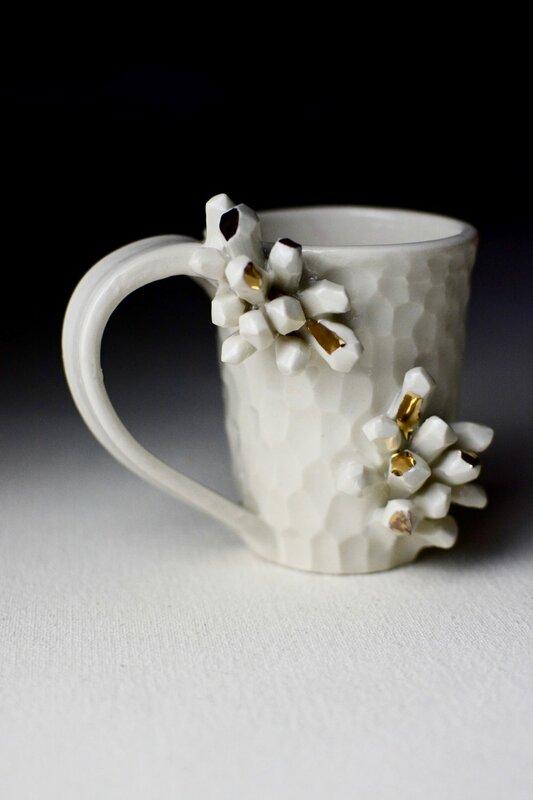 Porcelain mugs, both with and without crystals, are a fanciful way to drink a cup of tea or coffee in the morning. These pieces are thrown and trimmed on the wheel. Then carved and sculpted with slow precision, fitting nicely in your hands.